Margaret Somerville contributes her usual clarity and sound reasoning to this written debate on euthanasia/assisted suicide. Have a look and vote! As a bonus, in this interesting two-minute video Margaret Somerville suggests that though their white coats lead us to think they can do no wrong, doctors are mere mortals too. While we’re on the topic, follow this link to sign the Declaration of Hope opposing euthanasia and assisted suicide legislation. For news about the push for euthanasia in different countries, read Alex Schadenberg of the Euthanasia Prevention Coalition. This entry was posted in euthanasia, public opinion and tagged Alex Schadenberg, assisted suicide, Declaration of Hope, euthanasia, Euthanasia Prevention Coalition, Margaret Somerville, palliative care, public opinion on February 9, 2013 by uOttawa Students For Life. Pro-Life Momentum Covered in Magazines! Check out this Time Magazine cover and the feature on Lia Mills in Toronto Life. The Time article is available to subscribers only, but an article titled Pro-Life and Feminism Aren’t Mutually Exclusive by Emily Buchanan of the Susan B. Anthony List is available to all. 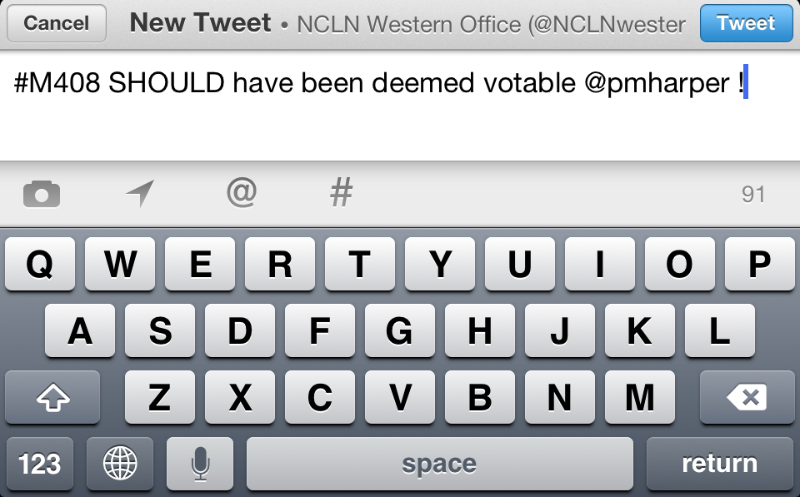 What do you plan to do in 2013 to make abortion unthinkable? 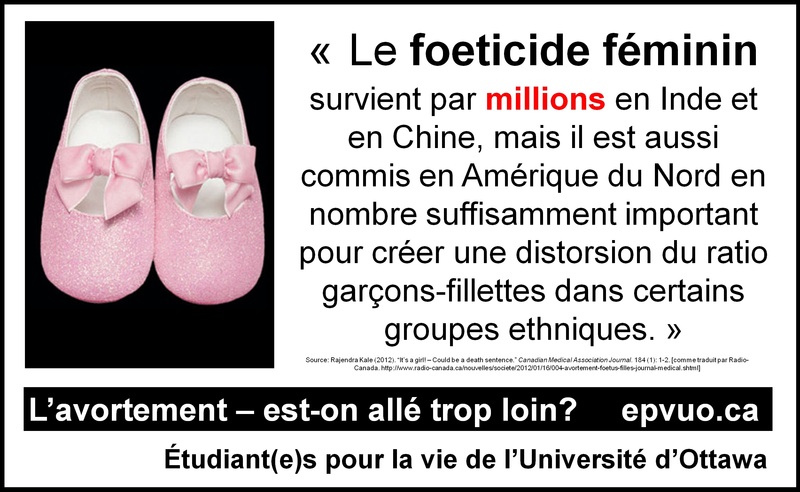 This entry was posted in activism, public opinion and tagged abortion, activism, Lia Mills, Susan B. Anthony List, Time Magazine, Toronto Life, youth on January 4, 2013 by uOttawa Students For Life. They’ll team up on research and teaching that focuses on the first 2,000 days of a child’s life – from conception to age five – in the hopes of pinpointing ways to set children on positive life trajectories. If you think about it, the miracle that has to occur from the time in which the egg is fertilized, when you have one single cell, to the time when 2,000 days later, you’ve got a healthy, jumping, happy, enthusiastic, inquisitive individual going off to school, and you think of the biology that has to happen during that period – to me, that’s nothing short of a miracle. 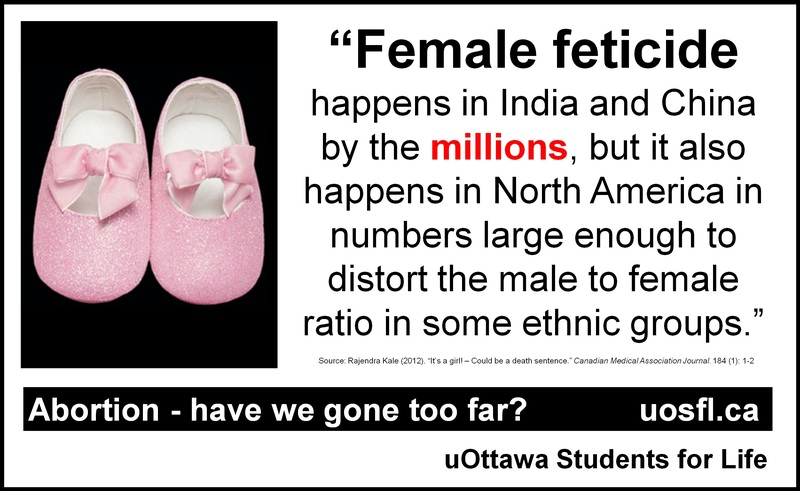 This entry was posted in public opinion, Uncategorized and tagged biology, childhood, conception, fertilization, Globe and Mail, preborn on October 23, 2012 by uOttawa Students For Life.